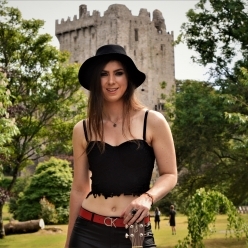 "Rock & Roll to My Country Soul", the new single from rising Country Rock artist Sina Theil, who this year is nominated for an award at the renowned Hot Country TV awards, taking place on the 29th of April 2019 in Cavan. The new track will be released on all major download platforms on the 28th of February (not Spotify) and is a perfect marriage between the two genres - Rock & Roll and Country Music, and with its' upbeat tempo and almost duelling guitar and fiddle riffs, has an instant toe tapping effect on the listener. The opening lyrics "You're like Jimmy Page, I'm like Emmylou..." draw the listener into a love story where opposites attract and fusion to create their "own kind of music..."
The track was given to Sina Theil by Nashville native and rising American Country Star Jenny Tolman, whose songs have been praised by many - including the Rolling Stone Magazine. It is also the title track from a 2hr Rock & Roll Show and Jiving extravaganza that Downda Road Productions are taking on the road this year. The show will feature some of Sina's original material, along with many Country and Rock & Roll icons that span the ages from Bill Hayley, Johnny Cash, Dolly Parton, Eddie Cochran, Elvis Presley, The Beatles... up to modern Rock & Roll to the likes of Dave Edmonds, Stray Cats and many more. The Workman's Club (Dublin) on the 7th of March at 8PM, in aid of non-profit organization Tiglin. Special guests: Jem Mitchell, Steve Duffy & Terrie Gray. The Secret Garden (Galway) - solo acoustic performance - 14th of March. 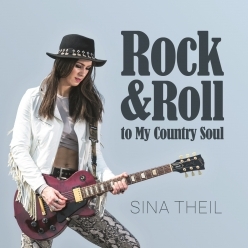 Country Rock artist Sina Theil has passed 5 Million Radio Listener Impressions and over 1,800 plays in Ireland (as registered by Radiomonitor)! Her most played song to date is a rocked up version of "These Boots are Made for Walkin'", while "Stripes" alone has been heard by over a million radio listeners. "We're so grateful for the support from all the radio stations, big or small, who are playing my music and everyone who is requesting my songs!" said the Country Rocker who also scored a #1 Album in the Country Download charts at the end of June last year. "Hearing your song come up on the radio is honestly an incredible feeling and something I've always dreamt about. 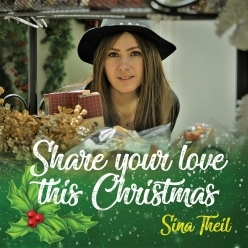 Sina's music has been played on many major Irish stations, including C103, Clare FM, Midwest Radio, Midlands 103, KFM Radio, Ocean FM, Radio Kerry, RED FM, Shannonside / Northern Sound, Highland Radio, Galway Bay Radio, LMFM, Tipp FM, WLR, RTE RnaG and many more. Written by Sina Theil and her manager Mike Gleeson, this song portrays a very personal story. Through an uplifting sound and the message to “Share your Love” this season, the tracks speaks of Mike’s loss of his eldest son through a long-term illness. While the lyrics reflect the bravery of his wife who relentlessly fought for their child and the fear they experienced every Christmas, wondering would it be their last, the song calls to raise awareness and to lend a helping hand to those who have lost, or fear the loss, of a loved one and might be wearing a brave smile but are struggling more than usual at Christmas time. “This song means so much to us personally, and we really hope that it evokes a feeling of empathy and love in people’s hearts” Downda Road Productions. 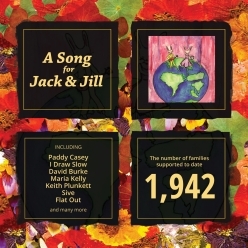 The song charted at #1 in the Country Download Charts and is available on all major download services, together with "Rockin' Robin", an upbeat all-time favourite originally recorded by Bobby Day. 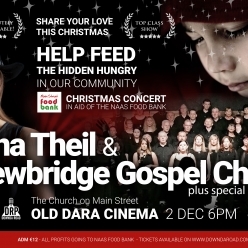 Sina Theil and the Newbridge Gospel Choir are joining forces for a very special Concert in aid of the Main Street Foodbank in Naas on the 2nd of December 2018. The event will take place at the Church on Main Street (Old Dara Cinema) where food collection (non-perishables only) will commence at 4pm with various local musicians performing in the foyer. The main concert will kick-off inside the theatre at 6PM and tickets are €12 and can be purchased at www.downdaroad.com. All profits will be donated to the Foodbank. This event is family friendly. Please find further information about the Main Street Foodbank and why your help is crucial below. Main Street Foodbank is an initiative started in December 2012 Since then, with fantastic support from the local community, their drop-in centre has been operating every week, where currently (Sept 2017) an average of 93 individuals and families access the service for help. In Ireland, food poverty has emerged as an increasingly important issue; recent findings by the Department of Social Protection disclosed 10% of the population in Ireland are living in food poverty. Today people across Ireland struggle to feed themselves and their families. Redundancy, illness, benefit delay, domestic violence, debt, family breakdown and paying for theadditional household costs are just some of the reasons why people go hungry. Naas Foodbank helps to feed these ‘Hidden Hungry’ in our Community, because nobody should have to go without food on their tables. The Hardly Strictly Acoustic Festival concluded on Sunday the 16th of September with a performance from Derry Country Rocker Chris Madden & his band the Lucky Ducks after a weekend full of music at the Spout, Kilcullen. The Festival kicked off on Friday the 14th of September and included performances from artists such as SON, I Draw Slow, Chris Madden , Sina Theil and band (Jack from Vagabonds and Thieves, James from Ultitune & Austin O Keeffe ), Ultitune, Barley & the Grape Rag, David Dee Moore, Gerry Hodgers, Davie Furey, Dubh Lee, Kayla Rebecca Williams, Tia Burke & Ger. Thanks so much to all the artists who performed, all the helpers who lent a hand and everyone who came and attended the festival! Thanks also to the Kildare Nationalist and Diary for the support on print & social media! 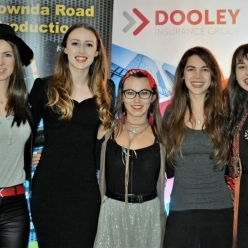 Last but not least, a BIG thank you to the sponsors Dooley Insurances, ISS Recruitment Ltd, the Spout Kilcullen & Downda Road Productions for making it possible! Excited to see what the sixth edition of the Hardly Strictly Acoustic Festival will bring next year...! The Hardly Strictly Acoustic Festival 2018 Line-up announced! The annual The Hardly Strictly Acoustic Festival will take place at the Spout in Kilcullen this year! 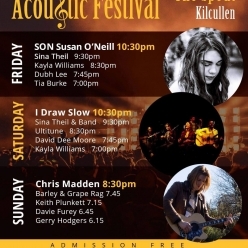 We are proud to announce some brilliant headline acts to the likes of SON (Susan O'Neill), I Draw Slow & the Chris Madden Band, as well as other amazing artists such as Sina Theil, Ultitune, Keith Plunkett, Kayla Williams, Dubh Lee, David Dee Moore, Gerry Hodgers & Tia Burke. The Festival will commence on Friday the 14th of September at 7pm and conclude on Sunday the 16th of September. Admission is free thanks to our brilliant Sponsors: Dooley Insurance, The Spout Kilcullen, ISS Recruitment & HR Services and Downda Road Productions. It has been a busy year for Sina Theil. Following her latest #1 summer anthem "Here for the Party" & her debut album "Under Cover" reaching #1 in the Irish Country Download Album Charts and #5 in the Irish Overall Download Album Charts, she just scored another #1 in the Irish Country Download Charts with "Crazy Women", an upbeat, tongue-in-cheek track that was originally written & recorded by Brandy Clark and mixes southern vibes with a catchy, pop-infused chorus. 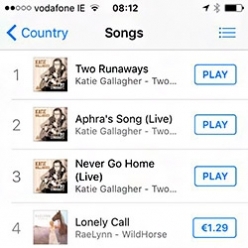 This is her sixth #1 Single in the Irish Download Charts since signing to Downda Road early last year and her ninth release in the top #3 Irish Download Charts. 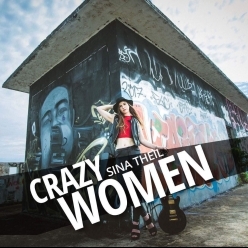 "The idea of this song is that...Crazy Women are made by crazy men! With a humorous tone, "Crazy Women" tells the story of an everyday woman who ends up taking justice into her own hands when pushed to the edge by her lovers' questionable behaviour." Get it now on iTunes, Amazon Music, Google Play and all major download services. 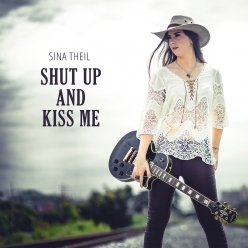 Sina Theil's single Shut Up and Kiss Me reached #1 in the Irish Country iTunes Charts. It's Sina's second number one. 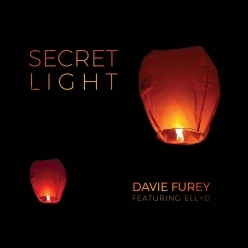 Davie Furey reaches #1 with "Secret Light"
Continuing with our roll of chart topping tracks, Davie climbs to the top of the charts with his emotive track. 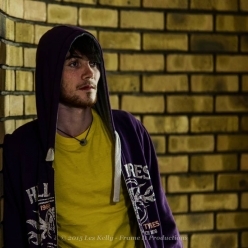 'Secret Light' is something of a departure from Davie's previous more traditional folk-rock work, and this heart-felt and sincere ballad has served him well securing him a place atop the download charts and seeing him playlisted on RTE Radio 1, KCLR, LMFM, Highland Radio, Dundalk FM, CUH FM, Shannonside & selected as song of the week on Ocean FM. Davie has also appeared in studio on many stations including Spirit FM, East Coast FM and NOVA. We look forward to hearing more of Davie's brilliant new tracks in the coming months! 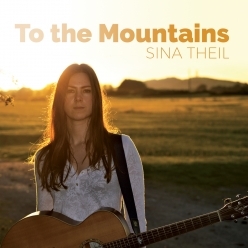 Sina Tops the Charts with "To The Mountains"
Singer/songwriter Sina Theil ‘To the Mountains’ climbed to the #1 spot on the download charts with her first commercial release "To the Mountains". This alt country song has been recieving a hugely positive response from fans abd has been receiving airplay all over the country including being selected as song of the week on Highland Radio. To The Mountains is the first taster of Sina's debut solo album which is due for release later in 2017. 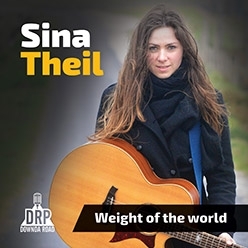 Sina Theil release's debut single "Weight of the World"
"Weight of the World" is a debut single from Sina. 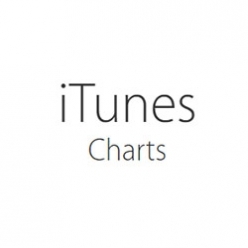 It is due for release on iTunes, Amazon etc. Friday the 9th of June. Keith Plunkett. 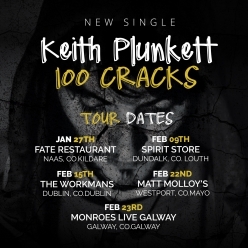 100 Cracks is the first offering from Keiths (as yet untitled) mini album due out later this year. 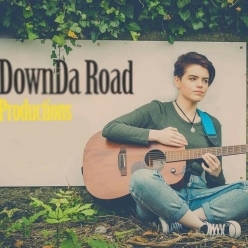 100 Cracks is the first song from Keith's forthcoming mini album that is due for release in May 2017. a.
Downda Road is very proud and excited to announce the signing of Grainne Fahy to our label. More details coming soon. 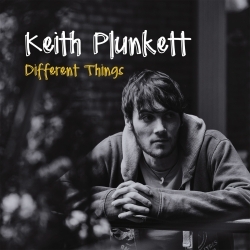 DownDa Road Productions would like to invite you to the launch of Keith's EP album "Different Things". It's Keith's debut album. CDs will be avaliable on the night!